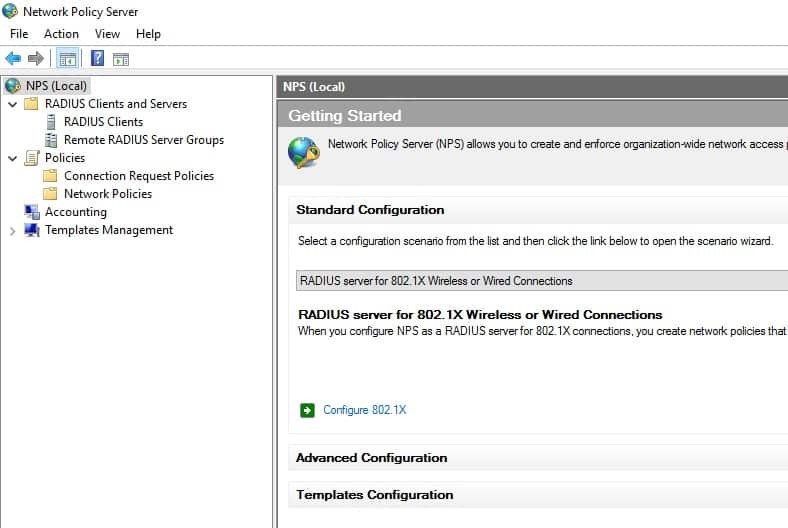 To setup a RADIUS server in Azure for wireless authentication use our Azure marketplace listing. 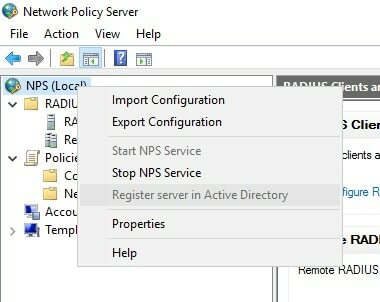 The server comes configured with NPS and has all the required firewall ports configured allowing you to quickly deploy RADIUS into your Azure tenant. 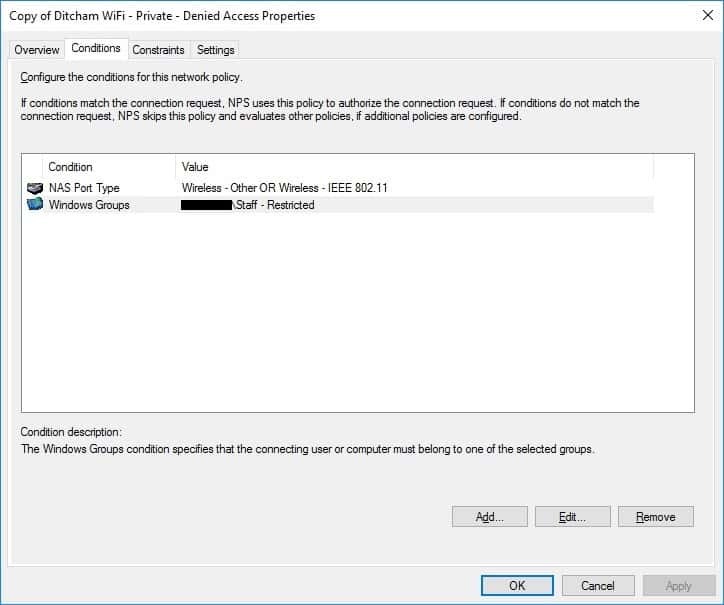 Once you have deployed our Azure RADIUS server to your Azure tenant, you are now ready to configure it for wireless authentication with your Active Directory. 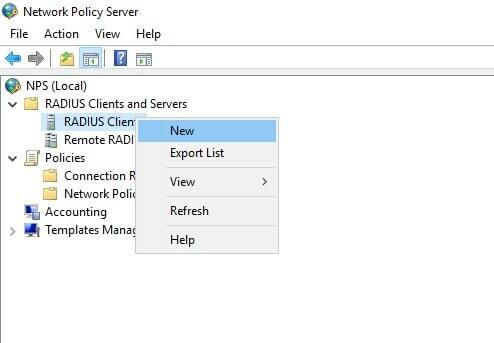 Now that all the RADIUS clients are setup we need to setup the access policy, but first you need to make sure you have a certificate in the local computer store. 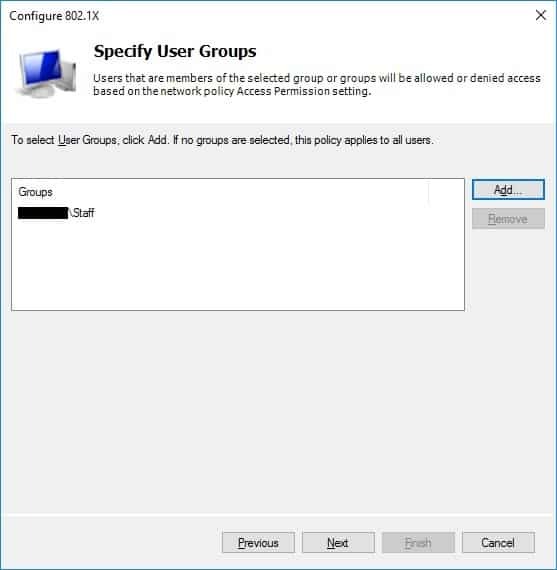 A self-signed certificate can be generated for testing/lab purposes, though clients will not trust a self-signed certificate and will need to have server validation disabled in order to connect. 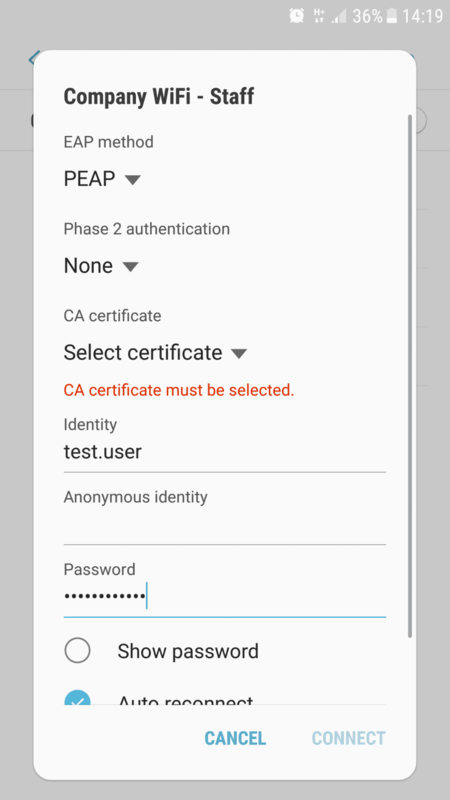 Steps below on how to generate a self signed certificate. 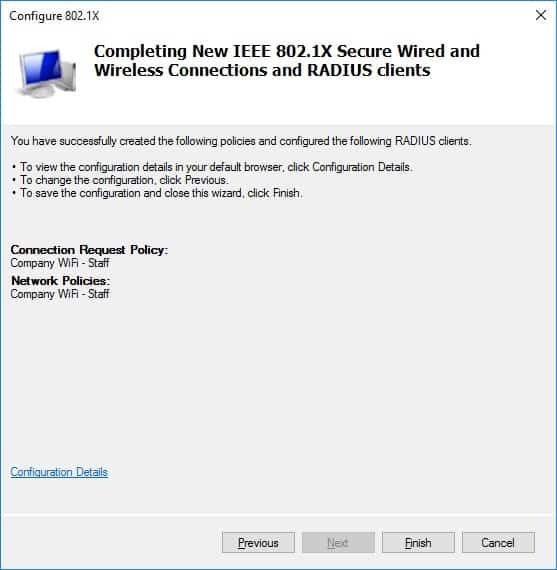 Once a certificate has been acquired, these are the instructions on how to import a certificate. 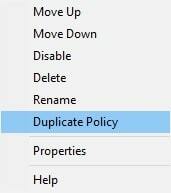 Right-click Personal > All Tasks > Import – Select Local Machine, click next and browse to where you’ve saved your certificate. 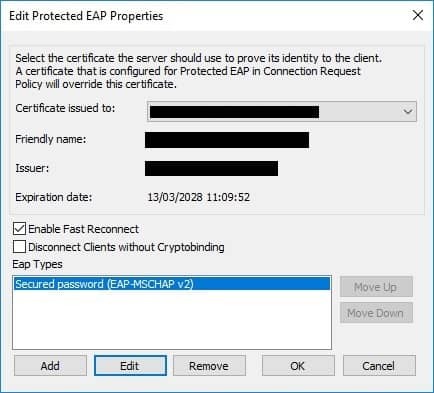 Follow the wizard to import your certificate. 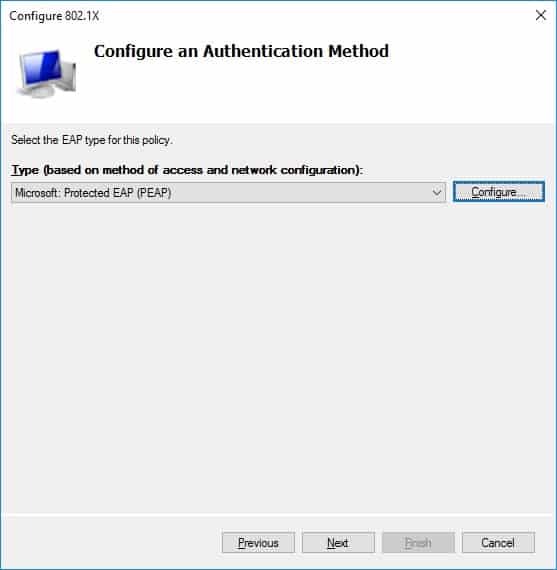 If you don’t have a PKI or a certificate from a third party, you can create a self signed certificate using the built-in powershell module. 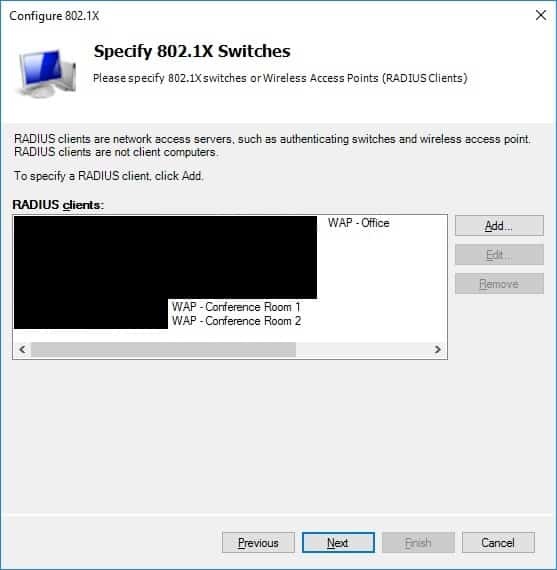 New-SelfSignedCertificate -DnsName "RADIUS FQDN" -CertStoreLocation "cert:\LocalMachine\My"
Here you can specify the certificate you would like to use to secure the connection using the drop down menu. 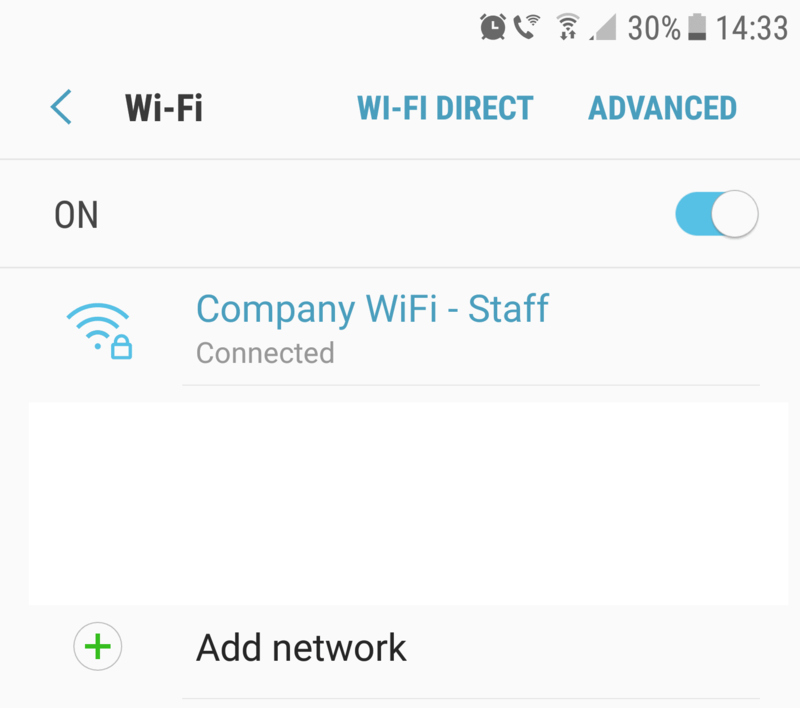 I am going to use Cisco Meraki MR access points in this example. 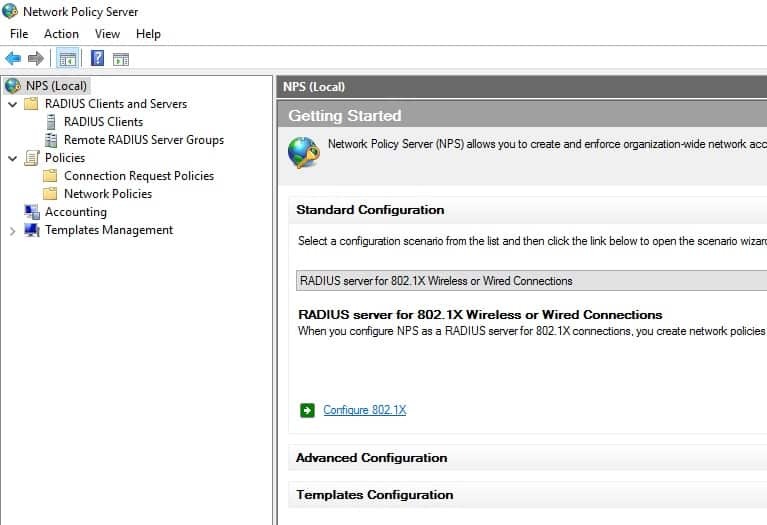 With RADIUS integration, a VLAN ID can be embedded within the RADIUS server’s response. 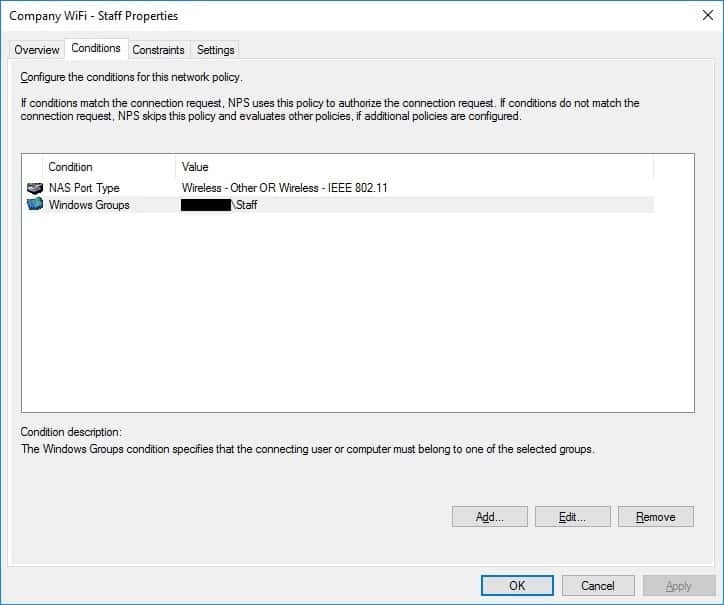 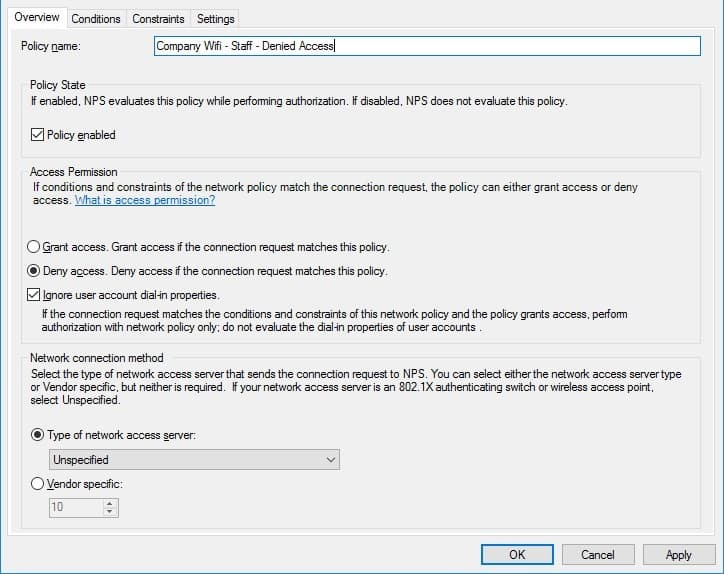 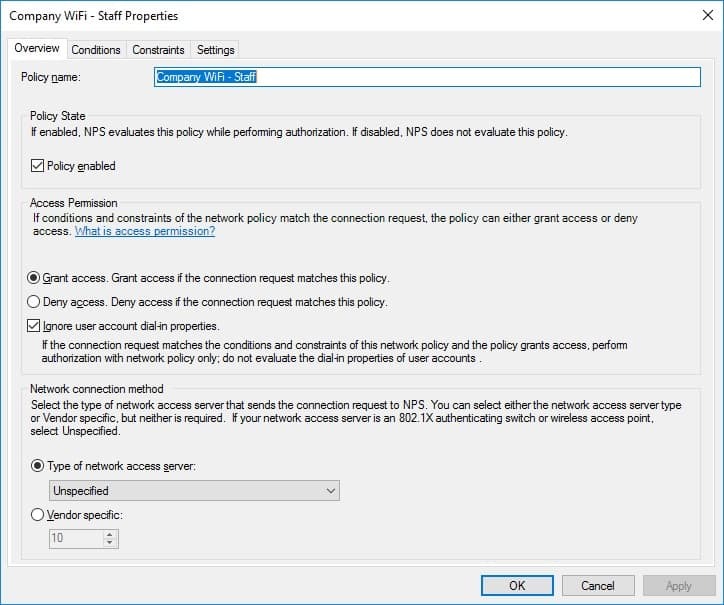 This allows for dynamic VLAN assignment based on the RADIUS server’s configuration. 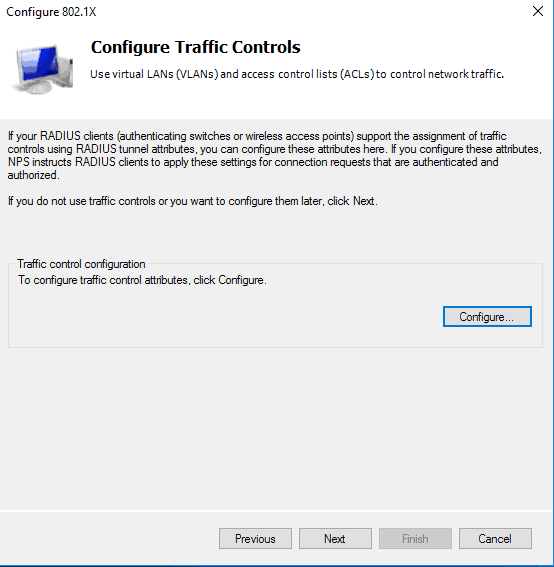 Please refer to Cisco’s documentation regarding Tagging Client VLANs with RADIUS Attributes for configuration specifics. 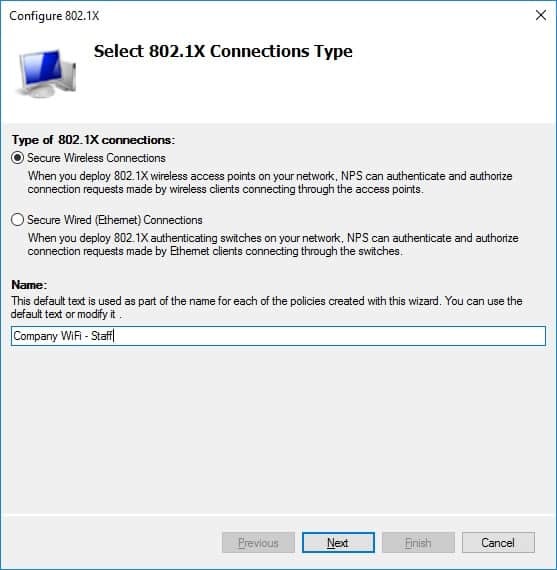 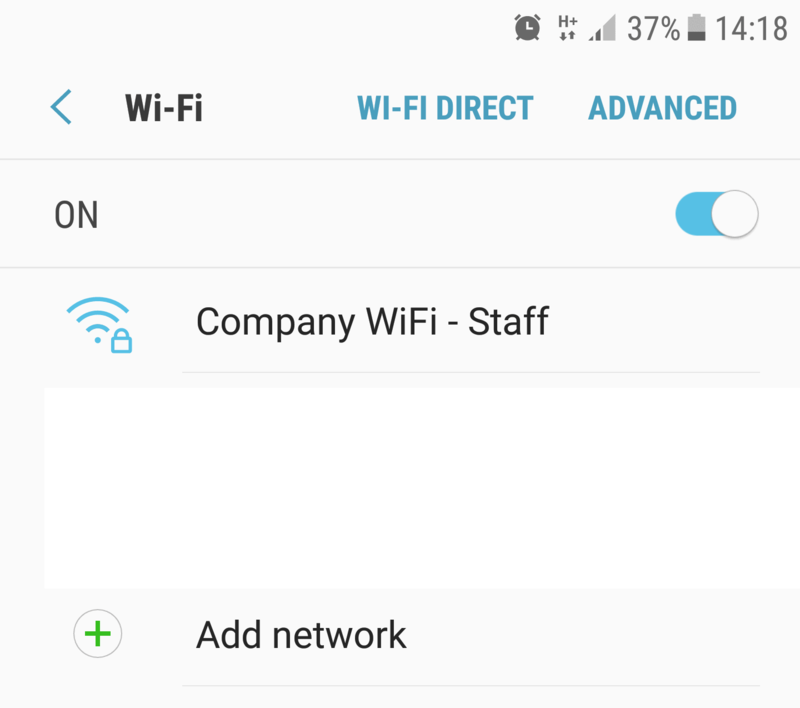 Once you’ve deployed the wireless profile to users or manually setup one on a test machine, we can now test connecting. 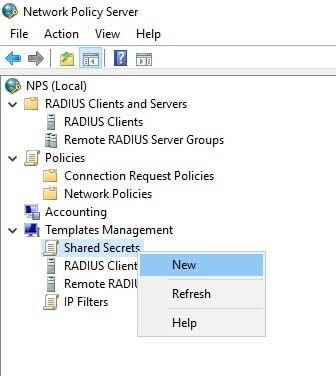 If you have any questions about the setup of our RADIUS authentication solution in Azure, leave your comments below and we will reply within 24 hours.